Two big rooms available. 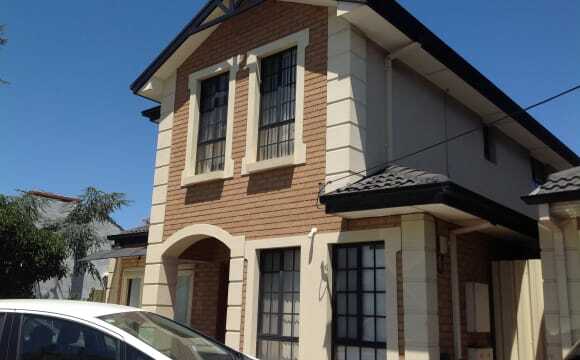 Bayside location: close to city, Glenelg beaches, and airport. Bedroom 2 $170 pw, utility expenses are included. This room is generously sized at 3m x 4.6m, with still extensive space (6-door wardrobe, 15-drawer dresser, 2x bed drawers). Single bed &amp; mattress supplied. Large bookcase supplied. 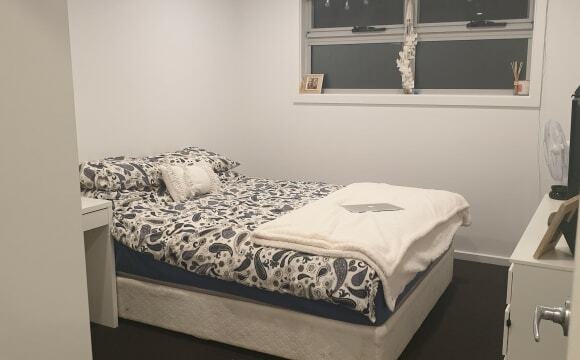 Bedroom 3 $180 pw, utility expenses are included. This room is enormous at 6.6m x 3.6m with lots of living space, dormant fireplace, ceiling fan, and a built-in cabinet. Single bed &amp; mattress supplied. Medium bookcase, clothes hanger frame, and sturdy study desk supplied. Bedrooms and hall have newly polished wooden floors. Dining windows look out into the sunny back garden. The house is airy and bright. The rest of the house is fully furnished with reverse cycle aircon and superfast cable internet. By car: 10 minutes will get you to the city, or Glenelg and the beaches, or the airport. :) If you don't have a car: Adelaide CBD is 15-20 minutes away by bus or tram. Bus stop 11 is 2 minutes walk away (167 to Adel Uni or J8/300 to Flinders Uni), and tramstop 10 on Marion Rd is 10 minutes walk away. The ride along the Westside Bikeway to the city from Marion Rd is a close 200m option as well. Also, because we're so close to the airport, it is super easy to catch Ubers and taxis (there are always a few in the neighbourhood)! Coles supermarket, and Priceline pharmacy are just around the corner; an 8 minute walk. All females only house. No couples. No pets. This is a very large spacious home in South Plympton, sharing with other female housemates - either students/travellers/working full time. (Bills Package includes electricity, internet, water, gas, and cleaner) There is 1 bedroom option available: 1) Private Single Room "April" Available 22 April 2019 Rent: $150 + Bills: $30 = $180 per week Bond: $300 **THE ROOMS** The room includes the following: - Reverse Cycle Air-conditioning and Remote Control - Single bed - Fresh Quilt, Pillows, Sheets and Linen - Wardrobe - Large Desk and Executive Office Chair - Bin - Laundry Basket - Shower Caddy - Mirror **THE HOME** - Fully Furnished - Unlimited WIFI - 3 Bathrooms with 3 Toilets - 2 Kitchens with Multiple Fridges and Puratap - Basic Appliances (Washing Machine, Fridges, TV) and Equipment (Toaster, Kettle, Rice Cooker) - Crockery and Utensils - Spacious Open Rooms for Dining and Lounge Area - Large Pantry Space - Laundry with Washing Machine, Ironing Board, Iron - Modern Decor Interior - Garden Settings for Outdoor Enjoyment **THE HOUSEMATES** We live in an ALL FEMALE home. Our home is harmonious, clean, and well organised. 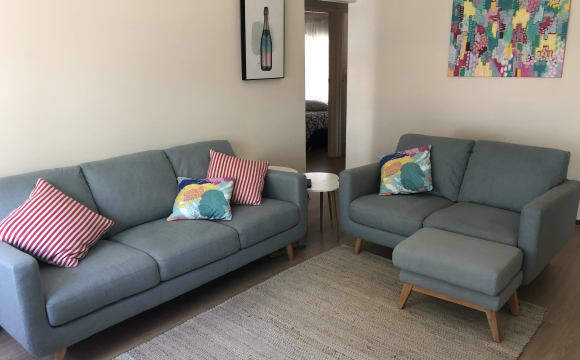 The housemates are all friendly women from around the world, looking to make friends with other women, to explore Adelaide together and make happy memories. 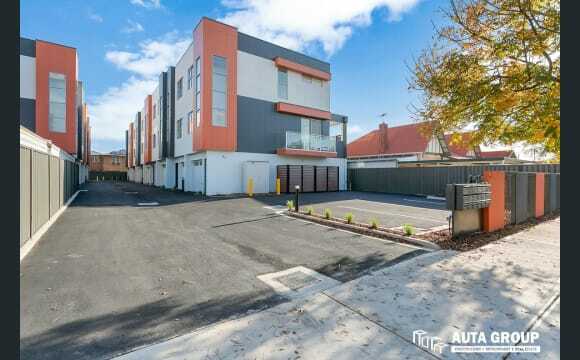 **CENTRAL LOCATION** - Quick Walk to Bus Stop and Tram Stop - Catch the Tram every 10 Minutes. It travels straight to the Adelaide city or Glenelg - Close to amenities, shopping, and the Coles Supermarket, Newsagent, Priceline, The Highway - Short drive to the city and the beach - Home is on the main road - Cross road, so bus stop is at the front of the house - Walking distance to Marion Road **HOUSE RULES** - No male guest inside property - No over night guest - No drugs or excessive use of alcohol ****************** Adelaide Share Housing in SOUTH PLYMPTON offers a fully furnished home for WOMEN with plenty of natural sunlight, charm and privacy, with large living spaces and outdoor area to enjoy. The best part of this home is that it is right across from the Tram station and bus stop, that travels straight to the Adelaide city or Glenelg- every 10 minutes ! House located in quiet street in Camden Park. 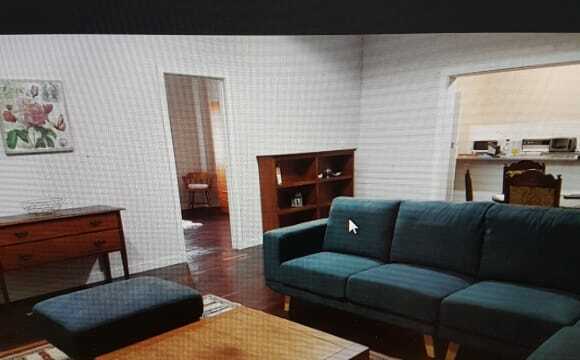 Central location 10 minutes to CBD, less to beach or airport. Off street parking in fully fenced yard with security lighting. Aircon in living area, fans in bedrooms as well as ducted heating, home is double brick - stays warm in winter and cool in summer. Modern kitchen with gas and electric cooking, plenty of storage and large bench and breakfast bar, Foxtel, surround sound and big screen. Very large outdoor entertaining and BBQ area with large pool set in tropical gardens with waterfalls and spa on deck. Fruit trees and vegie gardens as well. Two rooms are available, I'm looking for suitable EMPLOYED and responsible flatmates. Room 1 is large and has Queen size bed, built ins and large dresser with mirror, book shelf, desk. Plantation shutters and tinted windows for extra privacy and temperature control. Room 2 is smaller and has Double bed, built ins, tall boy, large wall mirror, desk. Plantation shutters and window tinting. Both rooms are private, recently renovated and have double brick walls for additional privacy. Bathroom is brand new with vanity, cabinets, large modern shower and claw foot bath. The Unit is located in North Plympton and is brand new with built in robes in every bedroom. All the bedrooms are also carpeted and have ducted air-conditioning. Downstairs there is a large communal space with a kitchen including modern facilities and a dishwasher plus a large lounge room area with plenty of space to relax and watch Netflix. The main bathroom has a decent sized bath and there is a small outdoor space available, plus a carport if space for a car is needed. Nearby is the Marion Road tram stop and there is a bus to the city that leaves from right out front. All bills included in this sweet $150 p/w deal! House also has a furnished main area with TV, fridge and brand new washing machine. 1 bedroom available: The bedroom is in the middle of the house and has a ducted vent of the Evaporative A/C directly into it. $150 BOND is two weeks rent. Got your own stuff? Great! All bedrooms are currently unfurnished so feel free to set up your space ! We even have some shed space if you need storage space. 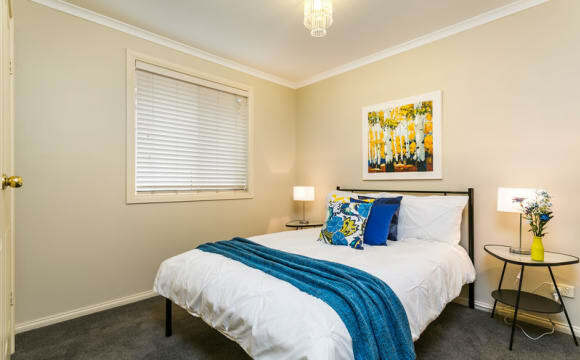 To make it simple and easy to budget, rent covers ALL bills: - Electricity - Gas - Water - WiFi NBN Unlimited Internet :) Public transport is pretty close with the bus stop is a short 50m walk to Marion Rd. The Westside bikepath is also one block back if you prefer to ride into the City via the River Torrens, or you can head South all the way to Glenelg. ...What Now? If you are a student or young professional and know this is a sweet deal, please call or text Michelle to arrange inspection and move in ASAP :) Thanks!! The room for rent is 4m x 3.3m with a study/sun room attached 2.2x3m it has ac (heating/cooling) it has bathroom opposite. Im moving out of my place and need a replacement before the 5th of May. Two girls already live in the house. One is in her last year of Law and another girl works for 9 news as a reporter so both girls are never really home much but keep the house tidy and love a wine/chat when they are but also love their own space.. The house in in Netley but basically North Plympton. It’s 10 minutes from the city and 10 from the beach. Rent is $155 per week and the house is fully furnished. Offering a furnished bedroom (if required), your own living room with TV, own refrigerator. 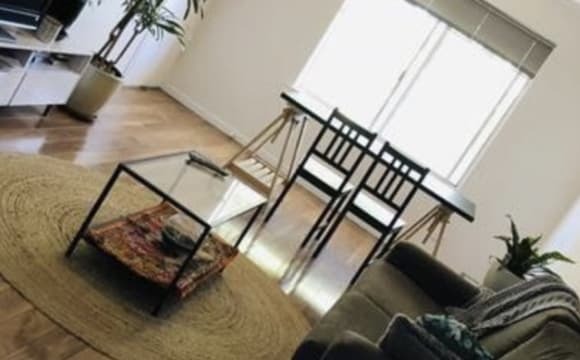 I am looking for a female to share a nice spacious furnished home in a lovely peaceful cul-de-sac 5 minutes from Glenelg beach, cinemas, cafes and restaurants. Transport around the corner and local shops a short stroll away. Everything within 10 - 15 minutes - City, Marion shopping Centre, Flinders Uni, Airport. The bedroom available is light, carpeted, and furnished (if required) with a bed and wardrobes. All facilities in the home are available for you to use. There are 2 living areas, ducted evap air conditioning, ducted gas heating. 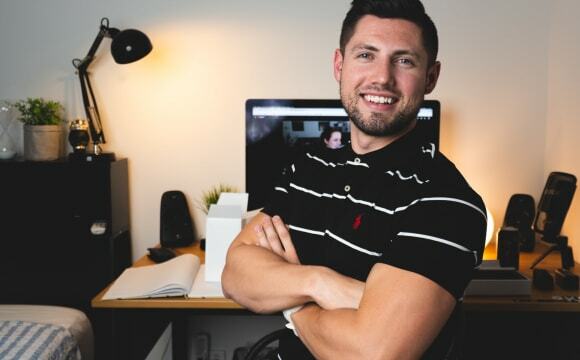 Not shared room for rent - not sure how to change it, but it’s a shared UNIT for rent! ;) And you get your very own private and spacious room. This unit is not only close to the city (8 minute drive), but close to Glenelg beach! You’re able to get to both places by bike, bus, tram and of course, car. 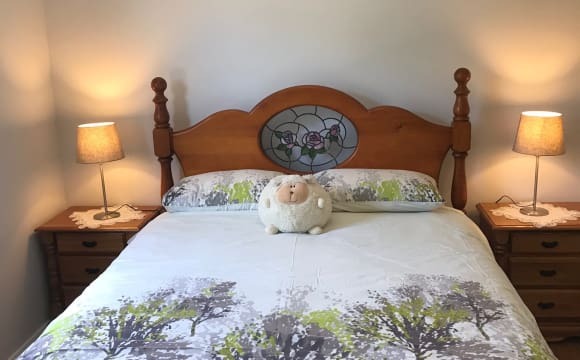 It’s got a new heater/air con duo system, is fully furnished + 5 min walk from Coles/Kmart 😊 BONUS: all bills super cheap as I always pay the connection fee. Anyone clean is welcome but NO smokers please! Access to the beach, city and great for foodies.. walking distance from shopping complex and also very safe. The people you live with will entertain you and also you'll love the Friday night drinks. Townhouse is 6 months old. We have a young, vibrant house with a brand new home (built in 2018). 3 story townhouse with street parking, your own room with built in robe and 2 people who are known for being social and having a laugh. Moving in with us will be the best time if you are outgoing!